I hope your weekends have been fun. Today is the latest in my Father's Day gift ideas series and today we are looking at options from House of Fraser. They have put together a selection you can have a look at on this link: http://www.houseoffraser.co.uk/Fathers-Day-Gifts/fathers-day-gifts,default,pg.html and that gives some great ideas, I'm also going to be giving you my top picks below so keep reading to see those. 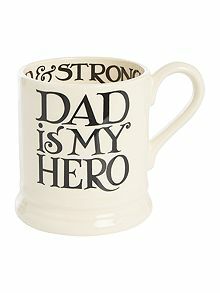 First up is this Emma Bridgewater 1/2 pint mug, perfect to make your dad a nice cuppa! Then I chose the Jo Malone Cologne Set, it's so luxurious and I have absolutely loved every Jo Malone product I've tried, the scents are incredible. 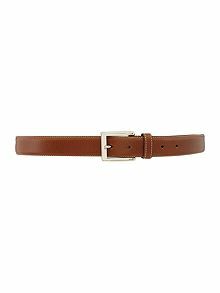 Then I chose a Howick Tailored leather stitched belt, it's a great everyday accessory and will go with any pair of jeans or trousers. Then lastly there is this Howick Dillon short sleeve pocket tee* which I have given my boyfriend, it's super comfy material, great quality and looks great with jeans or chinos. A snip at £15 and it comes in navy, light blue, berry or slate. I hope you found these suggestions helpful, they are all available over on www.houseoffraser.co.uk. Stay tuned for more posts within my Father's Day series and let me know any ideas you have for gifts in the comments below and I might just feature them! Can't believe father's day is only a week away! These are great gift ideas for father's day. The Emma Bridgewater mug is my favourite!